Saudi is not a monolith. The single defining picture in US ME policy since 1991 is that in every new crisis the US position is worse than in the crisis before. You're right that the Saudis are not a monolith. The big question is whether the Iranians and Saudis can or will need to reach an agreement. One thing seems certain - their fight is a luxury, existential for neither party. I disagree with you, a failure to crush the Houthi will be seen as a weakness and encourage the Shia minorities in the region to raise up. I don't know that much about it, but nothing about the Yemeni conflict strikes me as critical for the Saudis. two things of interest there: oil and gas deposits and access to oil harbours outside the persian gulf to get their oil infrastructure out of the range of Iran. Also the border with Yemen is not fully settled. As I recall it was Muhammad bin Nayef that started the KSA involvement in the Civil War back in 2015. MBS was already defence minister and deputy crown prince. Nayef was not in charge of this. On GE you can see where they had tried to build a roadblock on the roundabout. emeni armed forces, aided by the Coalition fighter jets in Yemen, restored control of several positions and facilities in Yemen. A military source said that army units combed the mills’ roundabout and nearby areas before launching an attack that allowed them to seize control of the Red Sear Mills Company and all its facilities. 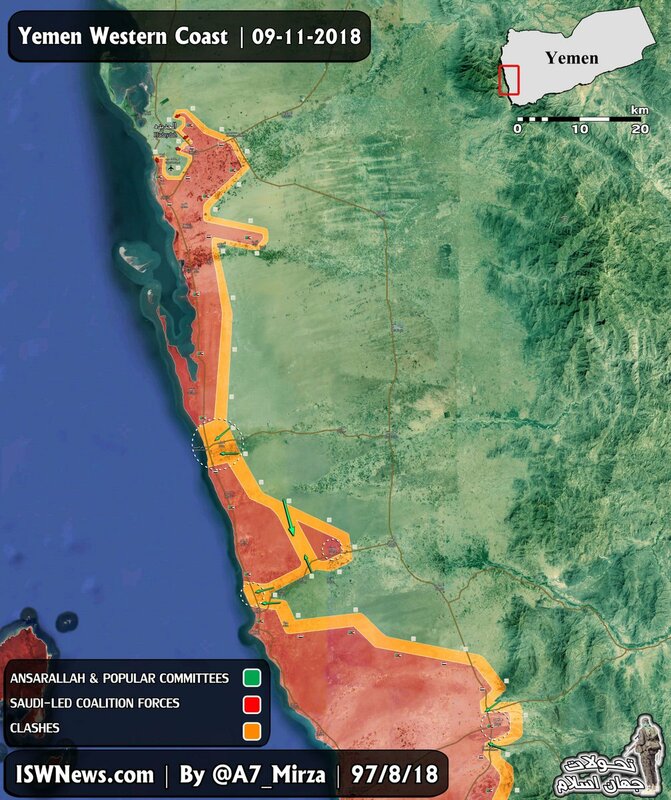 The battles in Hodeidah’s northeastern and southern neighborhoods killed at least 23 Houthis. A total of 14 Houthis, which include snipers, handed themselves over while dozens of Houthi commanders and fighters left Hodeidah toward Sanaa and Hajjah. Saudi footage of a drone (claimed to be Houthi-controlled) being shot down by a Saudi M163 Vulcan. Houthi tank in action, T55? It seems weird more damage wasn't done to the leather chairs and sofa. Well that will still drastically effect their ability to host the Saudis. Too sensationalistic to be good, the piece ignores the fact that Iran already had access to the US tech its seem in Yemen via Syria and Iraq. It also prints a claim about a TOW airdrop without any substantial corroboration. There's also its reference to a "heat-seeking laser", although this is more a simply Stupid Media Error. Credit to Joseph Trevithick for a list of the errors, and they are listed in this Twitter thread.